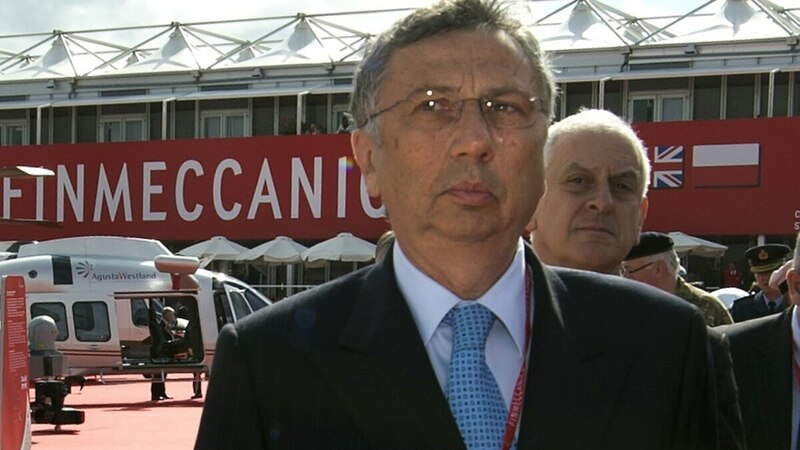 An Italian appellate appeal court has reversed the acquittal of former Finmeccanica CEO Giuseppe Orsi on corruption charges, handing him a four-and-a-half year sentence for his role in the alleged offering of kickbacks to win an Indian helicopter contract. Also convicted was former AgustaWestland CEO Bruno Spagnolini, who received four years. The decision overturns a 2014 Italian court decision to acquit Orsi and Spagnolini of international corruption. At the 2014 trial, the pair had instead only received two year sentences for the lesser charge of false bookkeeping. The charges related to a €560 million euro deal to sell 12 AW101 helicopters to India in 2010. Following Orsi's arrest in 2013 on suspicion of paying bribes to the former Indian air force chief to buy the AW101, India cancelled the contract and stopped Finmeccanica from pitching for new programs. Under Italian law, defendants can appeal guilty verdicts, but prosecutors can also appeal against acquittals. At the appeal, Orsi's lawyers pushed to overturn the false bookkeeping sentence handed down at the first trial, while prosecutors argued for the reinstatement of the corruption charges. In a statement, lawyers representing Orsi called the appeal verdict "surprising,suprising" and suggested it was erroneously based on statements made by Guido Hashke, a consultant involved in the alleged corruption. Italian law also foresees a third law of justice — the court of cassation, or supreme court. Speaking after the latest verdict, a spokesman for one of Orsi's lawyers said Orsi would appeal against his sentence at the court of cassation.